On Friday, Habs general manager Marc Bergevin decided it was time to cut ties with Tomas Plekanec. Few hockey players get to skate off the ice into retirement holding the Stanley Cup like Jean Beliveau did. Montreal Canadiens fans were reminded of this Friday when general manager Marc Bergevin decided it was time to cut ties with Tomas Plekanec. "The Canadiens organization made a hockey decision," Bergevin said. The team is facing a roster crunch and, with younger players and their development to consider, Bergevin felt he could no longer justify holding one of the team's 23 spots for the 36-year-old Plekanec. "It was harder than I thought it was going to be," Plekanec said, describing how he broke the news of his departure to his teammates. "I'm going to miss the guys, it's another family." While the news may have been sudden and hard for loyal fans to see Plekanec pushed out, it could have been much worse. For example, look at how things ended for one of Tomas Plekanec's contemporaries, Andrei Markov. After a bitter contract negotiation with Markov, the Habs cut ties without much more than a handshake. He was 10 games shy of reaching the 1,000-game plateau in his NHL career — a milestone coveted by players and enthusiastically celebrated by fans. Plekanec, on the other hand, was given a contract to return this season as a free agent after accepting a trade to Toronto late last season. He played his 1,000th game on home ice at the Bell Centre, he scored a goal in the game, was named first star and returned two nights later to receive his silver stick as the crowd roared in appreciation. Those were a series of moments he deserved after his nearly 15 years of loyal service to the organization and moments fans craved to share with him. Make no mistake, Bergevin's decision to cut ties with Plekanec Friday was a ruthless business move. But how he arrived there might have had a lot to do with the lessons he learned from the Markov situation for which he was heavily criticized for lacking awareness of what that player meant to the fan base. It's possible Plekanec could have played out the rest of this NHL season with another team. 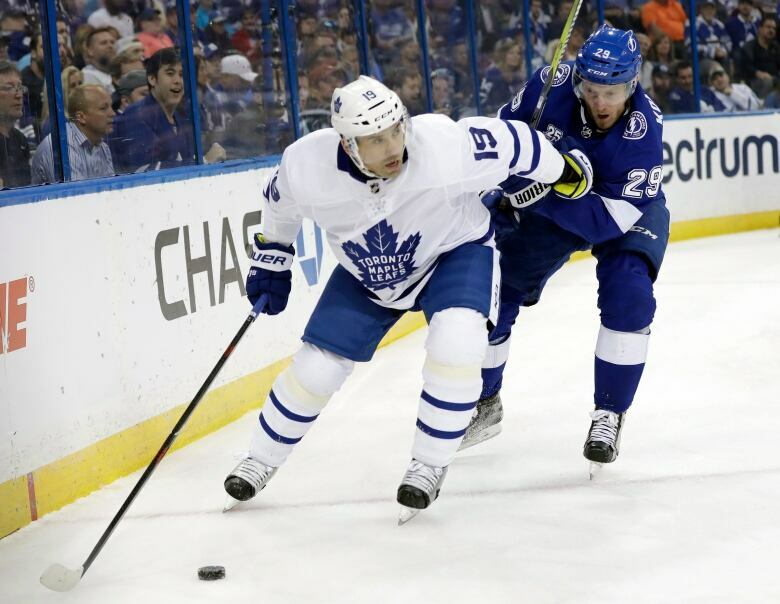 But after the awkward experience of pulling on a Toronto Maple Leafs jersey last season, he'd sooner retire than do something like that again. "After so many years here, putting a different jersey, it didn't matter what jersey, it felt weird," he said. Retiring as a Montreal Canadien was the only option in his eyes. 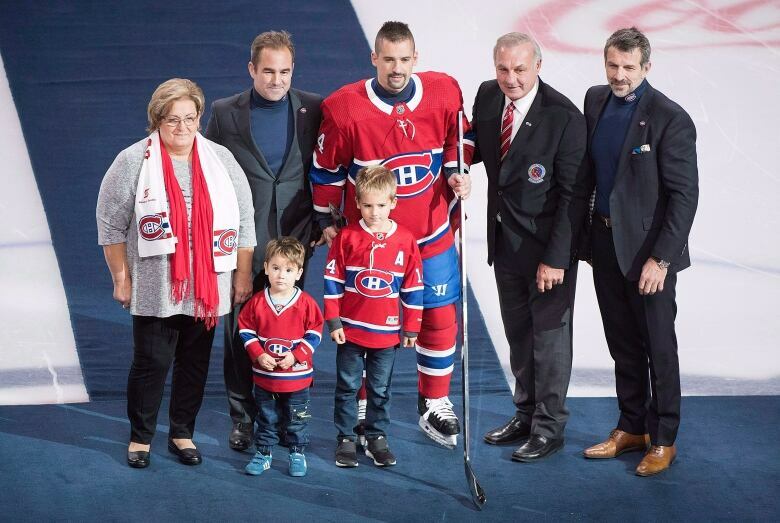 "I always wanted to retire as a Montreal Canadien," Plekanec said. "It's something that I'm very proud of." In fact, he was so committed to ending his career as a Montreal Canadien, that he agreed to terminate his contract worth $2.25 million US. He added that he might continue playing in his native Czech Republic for a few more years, but his days in the NHL end in Montreal. There have been some commentators suggesting that the Habs were playing the distraction game by announcing Plekanec's departure the morning after their star goaltender was shelled for six goals. It is true that, until the news broke, Carey Price's slumping performance was the top story among sports fans in the city. And, yes, Bergevin could have probably waited until another time to make the Plekanec announcement. So, for the sake of argument, let's drink the conspiracy kool-aid for a second and say this was a calculated move designed to take the heat off Price. Isn't that a perfect final selfless gesture for Plekanec to make? 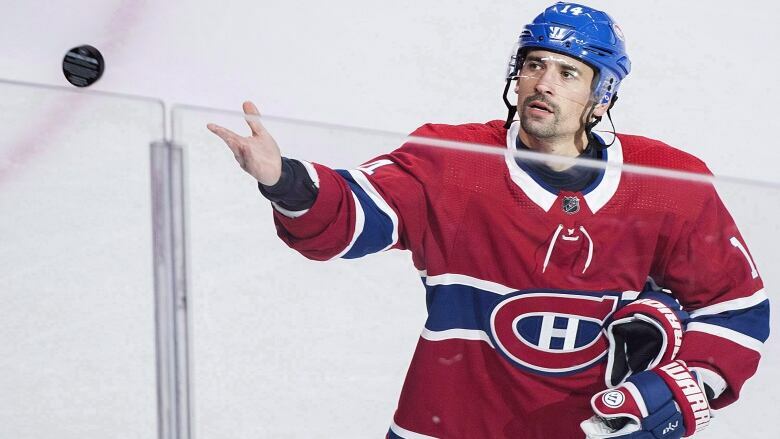 If his departure announcement was the break in the critical news cycle that gives Price what he needs to get his head straight and his play back on track, Plekanec will be the first one to stand up and applaud. And it's why fans loved him so much for 15 years and cheered relentlessly for him during his 1,001 NHL regular-season games. "I'm just hoping they will remember me as a guy who gave 100 per cent — that left everything for the team and for the logo," Plekanec said. Taking one for the team one last time is perhaps the perfect end for a player like Plekanec who always put the team first. No matter how you cut it, Plekanec comes off looking like a consummate professional.